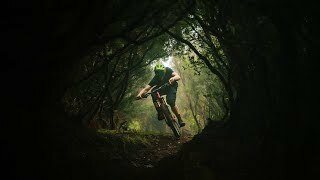 Matt Hunter, Bryn North, Etienne Van Rensburg and John Fernandes from Freeride Madeira recently spent some time exploring Madeira Mountain Biking and all it has to offer in this mountainous Portugal island paradise. With the help of John as a mountain bike guide, the crew was able to hike and bike around 80KM in 5 days, all while chasing Matt around and making a short film for the Madeira Film Festival. The groups Film “Lonely Island – Featuring Matt Hunter” turned out so well, they ended up winning the film competition that took place during the Enduro World Series in Madeira. Hard work, creative camera angles and a stellar riding display by Matt definitely paid off! Check out the winning film below and put Madeira on your mountain biking bucket list.